Wildlife researchers in Cambodia say they've found a clutch of eggs from one of the world's most endangered crocodiles, raising hopes of its continuing survival in the wild. 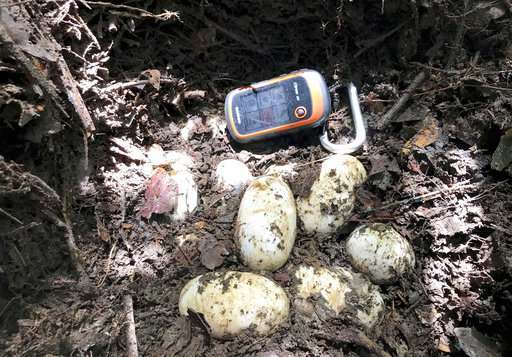 The New York-based Wildlife Conservation Society said in a statement Wednesday that its researchers, along with Fisheries Administration employees and local residents, found six eggs of the Siamese Crocodile in Sre Ambel District in the southern province of Koh Kong as they were exploring for tracks, signs and dung of the reptile. 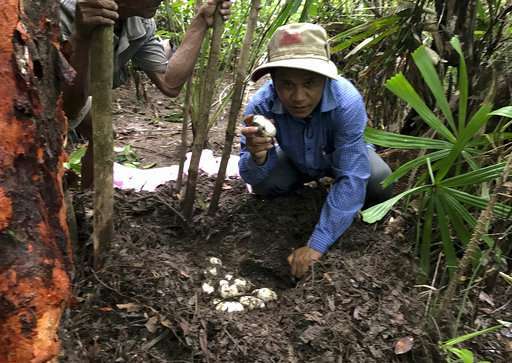 It said it was the first Siamese Crocodile nest recorded in six years of research and protection in the Sre Ambel area. "To avoid any threats, we moved the eggs to a safe place to hatch and track their progress," the statement quoted In Hul, a staff member of the Fisheries Administration, as saying. Such threats, said the statement, "include illegal hunting of adults and hatchlings and collecting of eggs to supply crocodile farms in Cambodia and Thailand, especially during the last two decades." Other threats include the "degradation of habitats, decrease of natural food, low chance of breeding in the wild due to low number of individuals in the wild and weak law enforcement such as regulations on crocodile farming and trading."